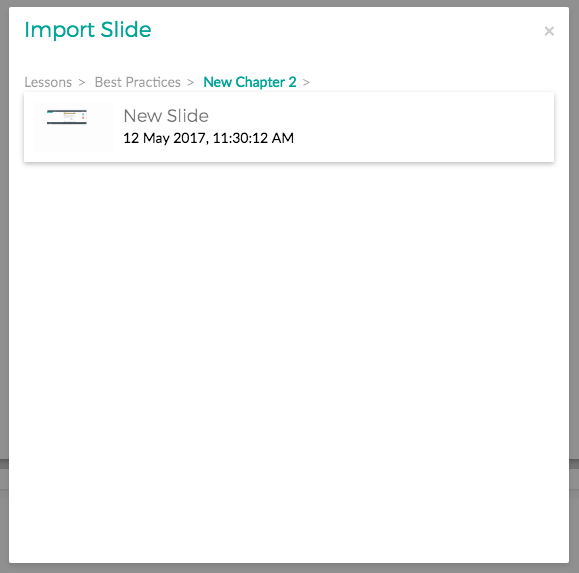 You can use the slide import feature to copy slides from one lesson into another. 1. 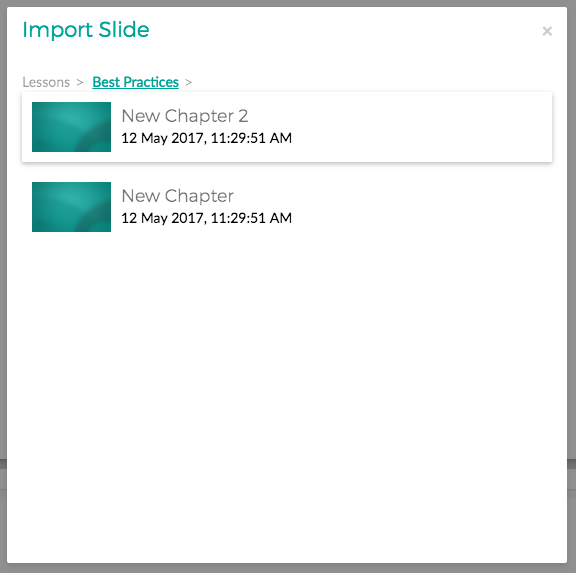 Go to the Lessons view and select your Module Lesson. 2. Select your Velpic Module and select edit to enter the Velpic Module Editor. 3. 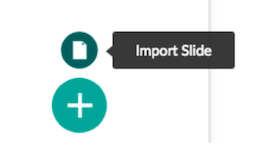 Hover over the Add Slide, which is the Plus (+) icon, button to bring up the Import Slide button. 4. Select the Import Slide button to bring up the Import Slide view. 5. 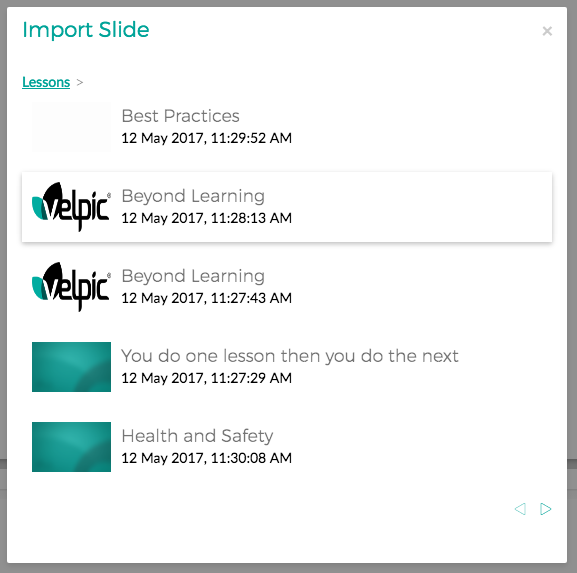 Select the Lesson that you want to import the Slide from, this will bring up the chapter view if the Lesson was a Velpic Video Lesson. 6. 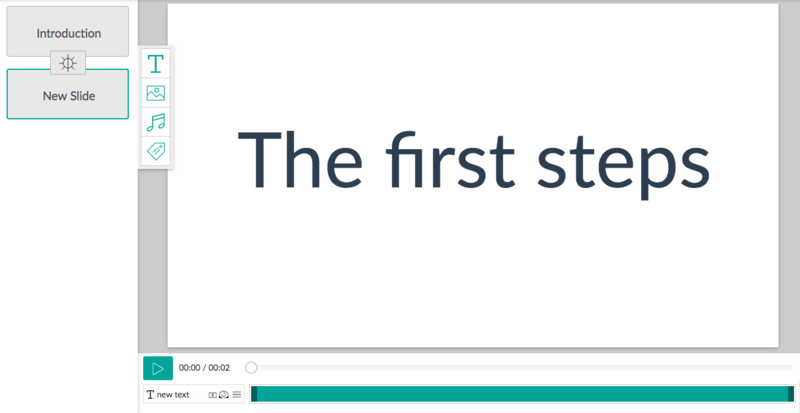 Select the Chapter where the Slide is contained, this will bring up the a list of Slides contained for that Chapter. 7. Finally, select the Slide that you want imported to your Velpic Module. The Slide will now appear in your Velpic Module.